Apex Gold Silver Coin 2 Wants to buy your coins! Apex Gold Silver Coin 2 Wants to buy your gold, silver, and valuables we are the coin shop you are looking for!! Apex Gold Silver Coin 2 is a great coin shop that buys coins and is selling silver coins and we always buy gold in Winston-Salem. 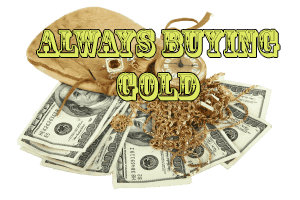 Specialize in Coins, Currency, Jewelry, Watches, and the Buying and Selling of Precious Metals. Apex Gold Silver Coin 2 located at Cooks Flea Market in Winston Salem, on 4250 N. Patterson Ave, Winston-Salem, NC 27105 and servicing 100’s of customers a weekend. By keeping the margins close we are able to pay Top Dollar on all Jewelry, Coins, Diamonds, Watches and Collectables. In turn we sell right in store and offer a huge variety of Coins and Watches to all of our customers. We Strives to offer fair pricing and the largest coin collection in Winston Salem and always Pay Top Dollar on Coins and Gold. We offer a unique service of buying Coins, Watches, Jewelry, Diamonds and Collectables, really almost anything of value. In addition to purchasing a variety of items we work on a small margin,which benefits all. I have been collecting coins and pocket watches since childhood with my Grandfather. We would spend hours tinkering with coins and watches, together we would hit yard sales and auctions around Winston Salem or rather say my Grandparents would allow me to accompany them. I grew up here Winston Salem and attended RJ Reynolds High School, lived here in Winston Salem until about the the late 90’s then moved to Puerto Rico where I was a scuba instructor and a commercial fisherman and lived there for about ten years. In 2009 I moved back to Winston Salem and started working on coins and watches once again. I enjoy looking at new items and discovering their history and values, the more puzzling an item is the more I’m interested in it; so please feel free to come see Jeff Joyce at Apex Gold Silver Coin located at Cooks Flea Market in Winston Salem, NC. Jeffrey Joyce started his way to learning to be a coin dealer just how a great many other people do: he was introduced to coin collecting watching collecting as a spare time activity. In Jeff’s case, his grandfather showed him the ropes. Grandfather and grandson spent hours trying out coins and watches together. They visited yard sales, auctions, and much more over the Winston-Salem area, where Jeff up grew. Jeff graduated from RJ Reynolds Senior high school and stayed in your community for some more years before he tripped to Puerto Rico at age twenty-three. He stayed there for another a decade, working as a scuba instructor and commercial fisherman. When he returned to america, he returned into watches and coins. Today, Jeff loves his job. He enjoys considering new items, discovering their values and history, and solving historical puzzles. Bring your strange, puzzling, today to meet up Jeff and valuable what to Apex Gold Silver Coin! Apex Gold Silver Coin 2 is Fair we start are offer on gold at 70% unless it has diamonds or the item can be resold then the offer goes up. On coins we buy junk 90% silver at 2 times back of silver spot price and sell at 2 over spot price. Silver dollars we are extremely competitive on as we have buyers for them. Apex Gold Silver Coin 2 Shop Has a great reputation in Winston Salem and the triad and would never do anything to tarnish it. We point out rare coins to customers and and make sure you understand our offer or no offer and why. We also like looking at just about anything and can show you the fair market value for the item. Apex Gold Silver Coin 2 shop has been licensed through Winston Salem NC with a precious metals licence and carry’s a 10,000 dollar bond. Apex Gold Silver Coin 2 is a coin dealer who understands you may be selling items that once belonged to a loved one or one you once loved we handle every transaction with respect and privacy. You may be liquidating part of a estate we understand this and will make you a offer on the items with no pressure to sell that is your choice. As seen in the Winston Salem Journal this coin shop buys more than just coins. This coin dealer also buys Gold, Watches , Diamonds, Baseball cards, and collectibles of all kinds. Stop in today and get a quote on all of your valuables you wish to sell!! Always willing to make deal happen stop in to day and See!! Our shop is licensed safe and willing to pay a fair price on all your coins, gold, silver bullion, and other rare items. Interested In Cash To Get Your Scrap Gold?